The date is November 20th, the place, Manama Bahrain, where FEI the International Federation for Equestrian Sports, the most prestigious equestrian club in the world held their 10th annual Gala Awards. FEI invited their fiercest competitors from around the world, to attend the Gala and show their support for their fellow equestrians. Categories ranged from Rising Star, Best Athlete, Best Groom, FEI Solidarity, and to honor equestrians rising against insurmountable obstacles, Against All Odds. The previous categories have all been awarded, a sudden sense of stillness descends upon the theater as the nominations for Against All Odds are read, nominees are announced and the theater erupts in a thunder of applause, Palestinian native Leila Malki hears her name called and to an overwhelming crowd of support, proudly takes the stage to accept her well-earned award. 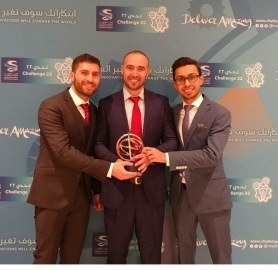 Leila has since become the first young Middle Eastern woman to have been nominated as well as to win this outstanding achievement accompanied by global recognition. “It was the first thing for Palestine and for me, it was a big pleasure to win such a thing. It motivated me, after all that I did, my passion, my determination, everything, I got to win such a thing, people believed in me and my story and the things I’ve been through!” Recounts Leila, upon returning home from her epic win. 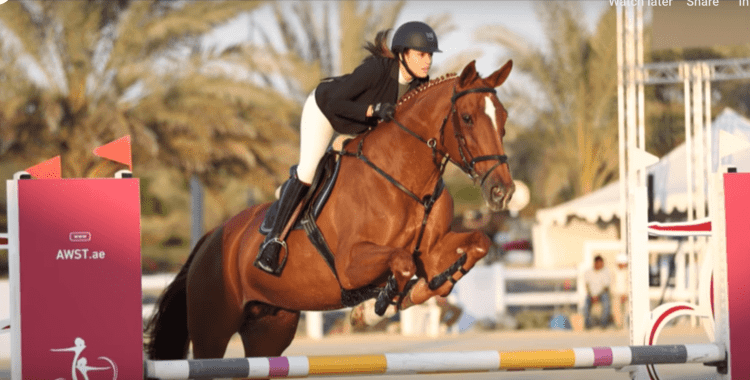 Against All Odds, is the perfect description for Leila Malki, as we learn more about the hurdles this Palestinian teenager is facing on a daily basis to realize her dreams as a professional equestrian. To understand how Leila earned this award, it is important to start at the beginning and learn more about where her journey began. Leila Malki is a fifteen-year-old Palestinian from Jerusalem. She grew up in a family of avid horseback riders who regularly attended local equestrian clubs. Since an early age, fascinated by the horses yet too young to ride, Leila watched from the sidelines as her family members went riding. In time, Leila picked up the courage to approach the horses and with a little bit of encouragement and help from her family she started to ride. Soon thereafter Leila’s riding spirit was born. It was during this time that Leila began to realize that horseback riding wasn’t just a hobby but that she had a real talent and passion for the sport. Inspired by her family outings to the equestrian club, Leila began to train seriously, and won her first competition at age six. “It was after I won my first competition against a lot of really good riders, that we realized that I had the talent and that I’m into this sport, so I started doing trainings every week, riding and getting involved in competitions.” Leila continues, “After working really hard for three years to get to where I want, I did my first international competition in Amman, and from there I started doing international competitions and exploring more about the sport.” Leila is working towards realizing her equestrian pursuits as a fulltime profession, she hopes to one day open her own equestrian club, continue to train with horses and compete on a global scale. Despite the strides Leila is making as a professional equestrian and the abundance of support received from family and friends, she still has to bravely face an overwhelming amount of challenges to keep her dream alive. She explains difficulties which range from the lack of and even absence of internationally accredited equestrian clubs, trainers and professional horses trained for high level competitions. Compounded to that are the physical roadblocks that make simply getting from one place to another into a tiring travel experience. Without a professionally trained horse ready for competition, Leila has to rely on either renting or borrowing a horse a few days before competing. Available horses were usually of less quality and not the best prepared for high level competitions. The lack of necessary resources, international trainings, and a competitively trained horse, are major obstacles in Leila’s road to rise to the top. With the right resources there is no telling how high Leila will rise in the global equestrian community. Competing in countries spanning the globe including Morocco, Algeria, Dubai and Jordan, to Germany and Holland all the way to Colombia, Leila proudly carries her Palestinian flag high as she represents not only her country but the perseverance and strength of fellow Palestinian athletes. As a one of the most talented competitors emerging from Palestine, Leila is making headways not only in international events but in headlines as well. People all over the world are learning more about the strides Leila is making, while fellow Palestinians have started to pay attention and take interest in horseback riding as a sport. Leila is glad for the recognition received and especially how it is changing perceptions not only about the sport but bringing attention to fellow female equestrians in Palestine. As a rising star and athlete within the Palestinian equestrian community, Leila always shares a message rooted in positivity and determination, “I would like to share with girls and young women everywhere to always stay positive and believe in yourself and dream for bigger things, and be passionate, because nothing comes easily and it takes time, so always believe in what you are doing and fight until you reach your dreams.” Leila’s message and achievements act as a source of inspiration for young Palestinian women to transform challenges into strengths and that hard work does pay off. Leila never stops dreaming and is now working harder than ever to gain the support and exposure needed to make it to the 2020 Olympics in Tokyo Japan. On a final note, when we learn about stories like Leila’s, it gives us insight into the power of human determination, to overcome the odds and turn distant dreams into realities.